What could be more restorative than Sundays of downtime that have no direction but to escape from it all and hit refresh? For the month of August, Sunday Morning is encouraging us to put away our phones and recharge. TRACK 1 HOUR UNPLUGGED AND GET A 10% discount code to use at sunday-morning.com to shop for modern everyday essentials for home. Your four-legged best friend loves your full attention. UNPLUG FOR 1 HOUR AND GET A FREE LILSPACE DOG SHIRT THAT SAYS "I know I am more adorable than your phone." Studies show that starting your day phone-free allows for less stress and more creative energy. Don't let scrolling zap your energy before you even get out of bed. RECLINER is natural, breathable sleepwear for every day of the year and they are here to help you start your day off right. Get a 20% DISCOUNT CODE ON RECLINER PRODUCTS WHEN YOU UNPLUG FOR 60 MIN. 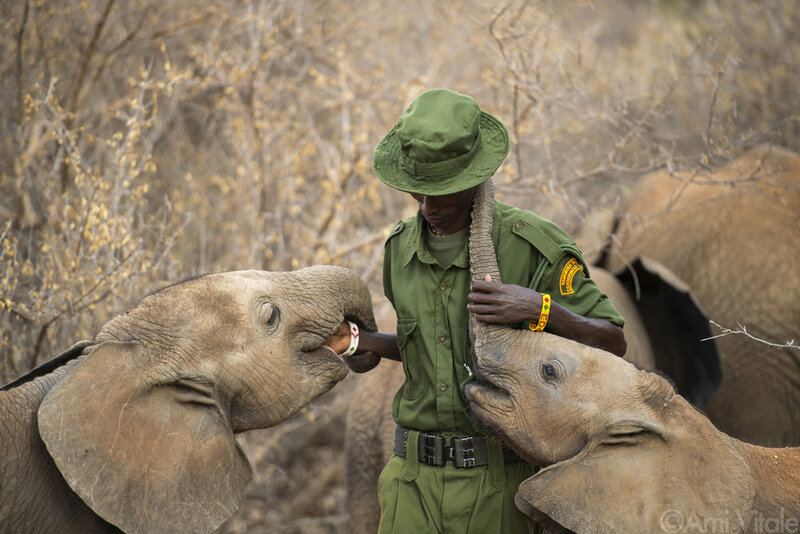 Namunyak Wildlife Conservancy is home to Reteti Elephant Sanctuary (@r.e.s.c.u.e), the first ever community-owned and run elephant sanctuary in Africa. The sanctuary provides a safe place for injured elephants to heal and later, be returned back to the wild. $1 FOR EVERY HOUR UNPLUGGED WILL BE DONATED TO R.E.S.C.U.E in support of this incredible place and the people who protect wildlife.